I, personally, was never really into Talisman, the fantasy tabletop game that blew up huge during my formative years. I did take a stab at it several years back, in an evening that lasted a lifetime and ultimately ended with us designating a winner. Still, I'm the exception, as Talisman is undeniably an iconic name in the pantheon of board games. Square Enix and USAoploy have announced that they are teaming up to create a special edition of the classic Games Workshop title to tie-in with Disney's role-playing saga Kingdom Hearts. 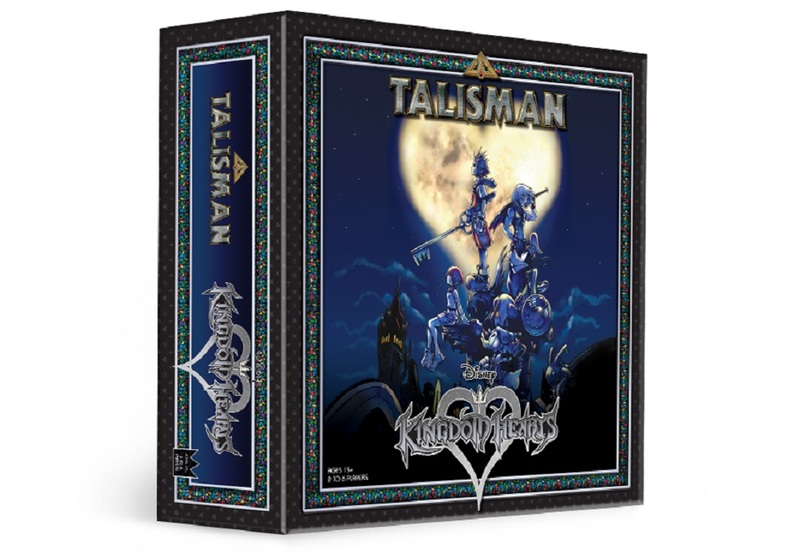 Talisman: Kingdom Hearts Edition, will see players take control of popular characters such as Sora, Dolan, Gooby, Kairi, Riku and King Mickey as they battle The Heartless in the dice-rolling adventure. Players will visit recognisable locations such as Traverse Town and Never Land, exchange Munny-based currency, and hopefully never-ever get inside a Gummi Ship, Talisman's long enough as it is. Outside of basic concept, there are no details, images (save for a quick box art mock-up) or even a release window, but USAopoly ask that you follow their various social media accounts for further info.